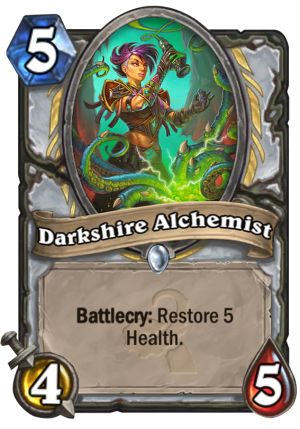 Darkshire Alchemist is a 5 Mana Cost Common Priest Minion card from the Whispers of the Old Gods set! The difference between 4 and 5 attack is pretty significant. That said being able to hit minions and always working definitely makes this better. I think this card is even better than shieldmaiden. 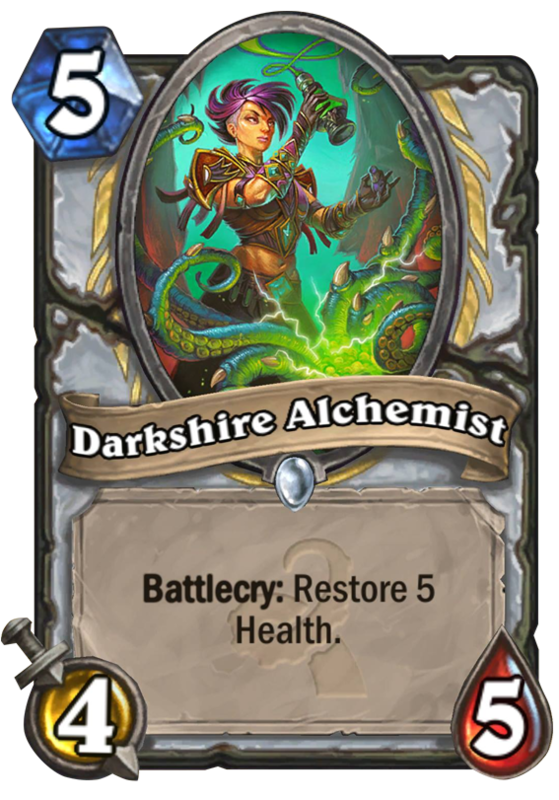 One, it’s more tempo because you can trade + Darkshire Alchemist your minion. 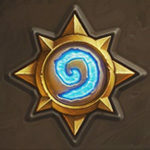 Two, healing generally have a lot for synergy than armor. For Shieldmaiden, Shield Slam was about the only thing that combo with it.